Be Michael Jordan in 3D! 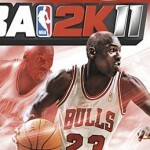 2K just officially announced NBA 2K11 for PS3 will be playable in 3D. The game will be available in Best Buy stores starting November 16, 2010. Gamers who already have NBA 2K11 for the PlayStation 3 that released last month will be able to download a 3D upgrade for free in January 2011 from the PlayStation Store. Cool, huh? The 3D release will play on any TV in 2D, but in order to view the 3D effects you’ll need a 3D TV and active shutter glasses. NBA 2K11 also supports the PlayStation Move motion controller. In the game, players can become Michael Jordan for the first time and relive his greatest moments with the Jordan Challenge. “The new 3D capabilities literally add a new dimension to the experience and provide a level of immersion that has never been experienced in a basketball video game,” said Greg Thomas, president of product development for 2K Sports.